You may have heard Demanda is hanging up her golden Crazy skates. First of all, how dare you. Second, yes this is allergies, shut up. Third, okay maybe we need a collective hug. In all seriousness, Demanda has been a part of the league for over a decade, and we will miss her dearly. She cultivated a persona of real flacking scary on the track, but she’s actually super approachable, friendly and is a thoughtful, caring lil human being. 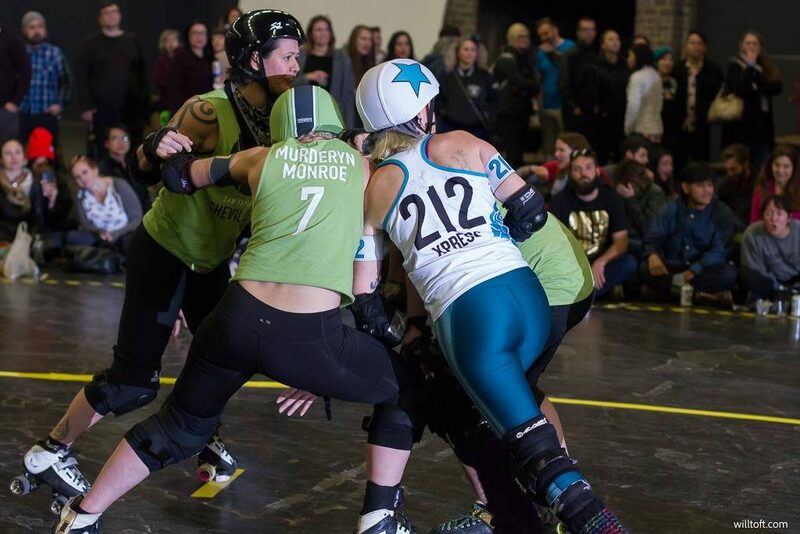 Demanda has been a cornerstone for our All-Stars team and was a strong coach, blocker, and jammer at home. 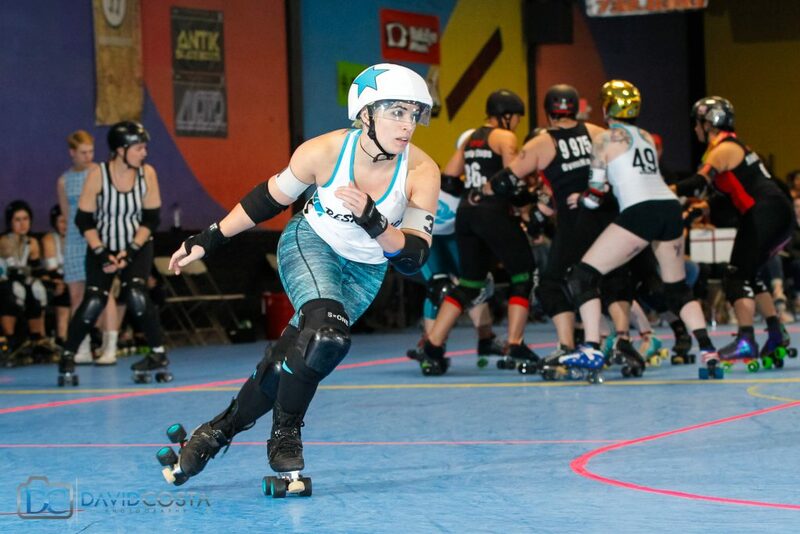 If you’ve ever attended one of her bootcamps and/or Rollercon classes, we know you’re jelly that we got to enjoy her coaching on the reg and benefit from her real-time in-pack communication / quarterbacking. Our gold will shine a little less brightly without her signature black + white face paint around to smear all over people’s jerseys and scrim shirts. The new season brings lots of exciting additions, changes, and a whole lotta NEW! All of our home team bouts will be at The Venue at The Palace of the Fine Arts in San Francisco. Mark your calendars for March 24, April 7, July 21, and August 25! Tickets will go on sale soon through the Palace of the Fine Arts. 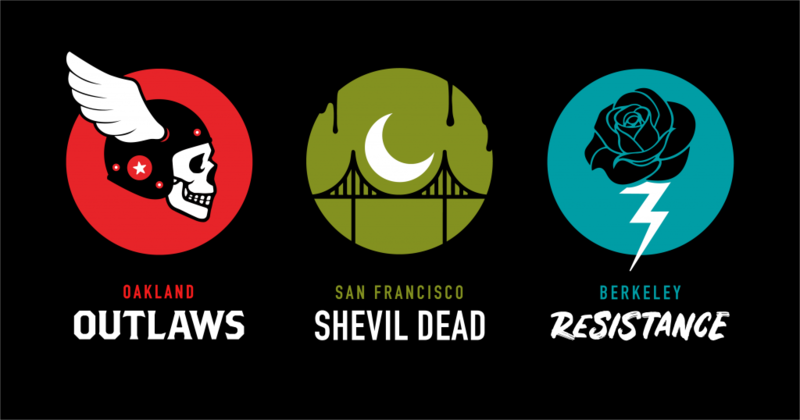 Due to our member numbers decreasing over the years and after much discussion as an organization, we decided to consolidate to three home teams—San Francisco ShEvil Dead, Oakland Outlaws, and The Berkeley Resistance. Full explanation can be found HERE. New venue, new teams . . the fun doesn’t stop there! For 2018, our Creative and Marketing teams rose to the challenge of redesigning team logos. We wanted to build a set of strong, unique home team emblems with a unified look and feel across all three. Which is your favorite? 20skateteen brings a lot of new faces! After October tryouts, we added 20 new skaters to the league. We have also received some amazing transfers from across the country – Alaska, New Jersey, Massachusetts, Florida to name a few. 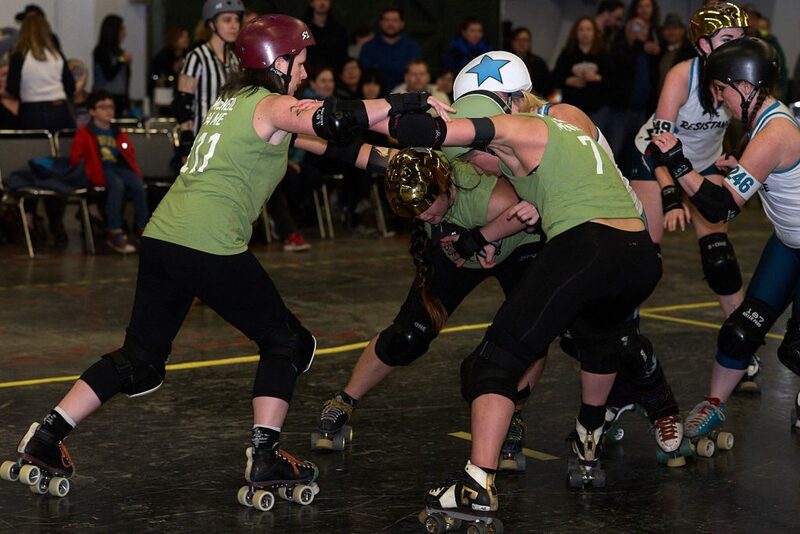 We also hosted a “New to Derby Night” where anyone interested in learning about roller derby was welcome to come speak with skaters, officials and coaches and have all their questions answered. Our turnout was superb! Since the event, we have had over 15 people join our recreation league called The Reckless Rollers. They are now being evaluated to transfer up to the league. Keep an eye out for all of this fresh new talent. 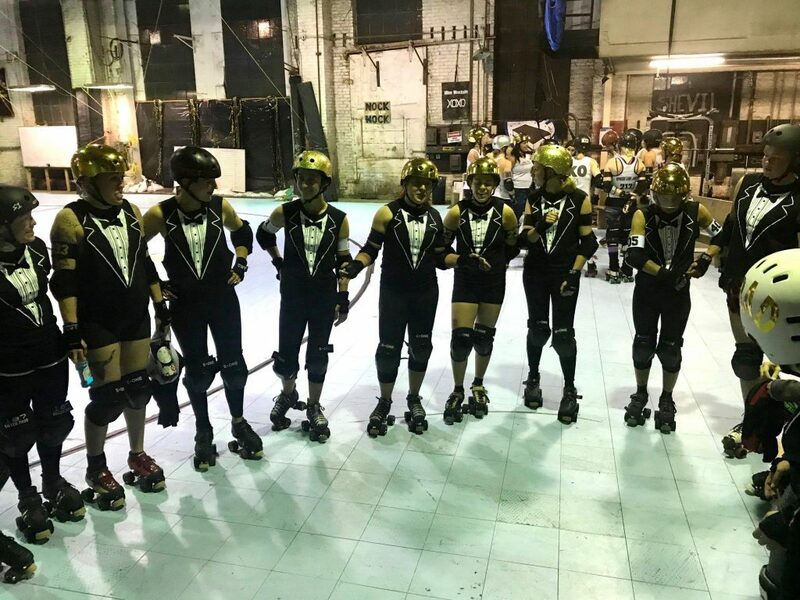 Last season we started two new programs: BAD Dudes—a weekly drop-in session for all genders including male-identifying skaters and The Golden Nuggets—a series of junior roller derby training for youth ages 8-17. We are continuing to expand those programs. Look for announcements throughout the season regarding both! When we’re not skating in circles on a flat track, you can find many BAD skaters doing flips, twists, grinds, stalls and slides on ramps, too. BAD recently teamed up with Skate Like A Girl, a unique local and international organization to provide a safe space for girls and women (cis, trans, female-identifying, and genderqueer) to promote their personal growth, athleticism, leadership and empowerment through skateboarding and roller skating programs. We are currently raising funds to help pay for supplies to build and maintain the BAD Park. Please visit our GoFundMe page. We are so excited for the new adventure 20skateen will bring us and happy you’re with us along this journey! 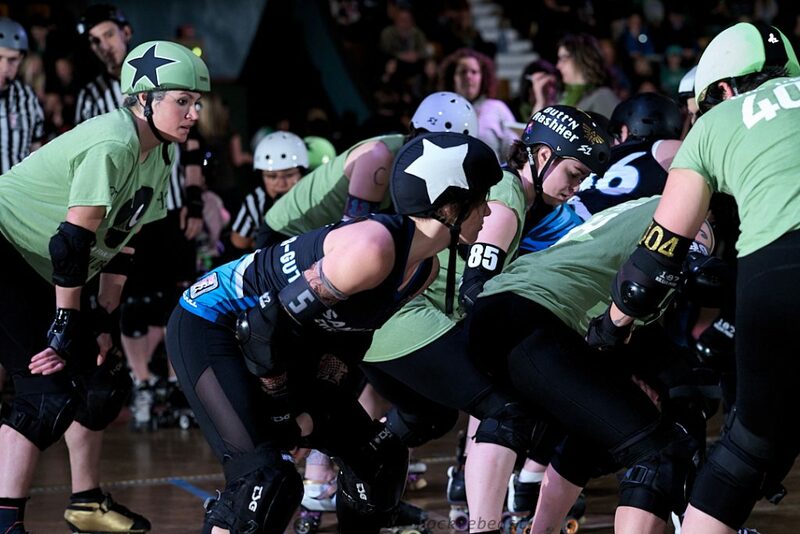 As mentioned in our season announcement, Bay Area Derby has consolidated from four home teams to three. Over the past couple of years, BAD’s membership has decreased with our number of retirees being greater than new recruits and transfers. This trend is not unique to BAD. 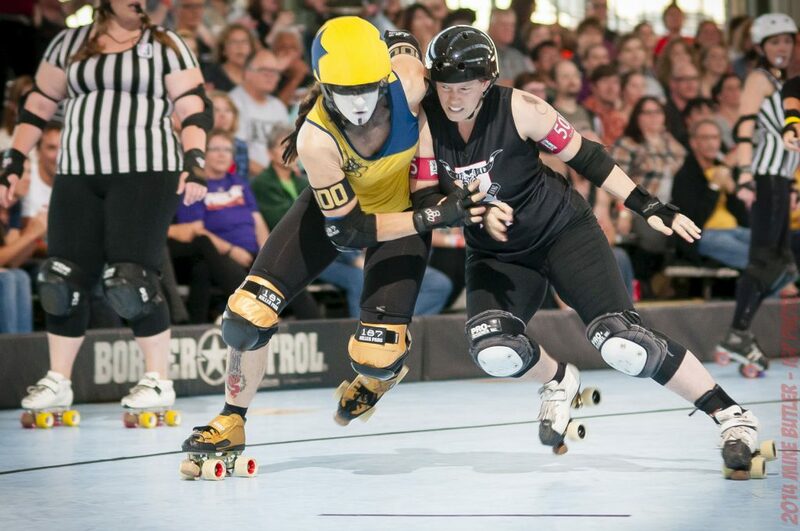 Our governing body, the Women’s Flat Track Derby Association (WFTDA) has seen a decrease in the number of new leagues joining, some leagues merging due to declining numbers (e.g. Sacred City & Sacramento City), and some even losing their practice spaces. In 2011, when BAD introduced a fourth home team —The Berkeley Resistance— we had a membership count of over 100 league members. At the end of 2017, we had 56 league members. 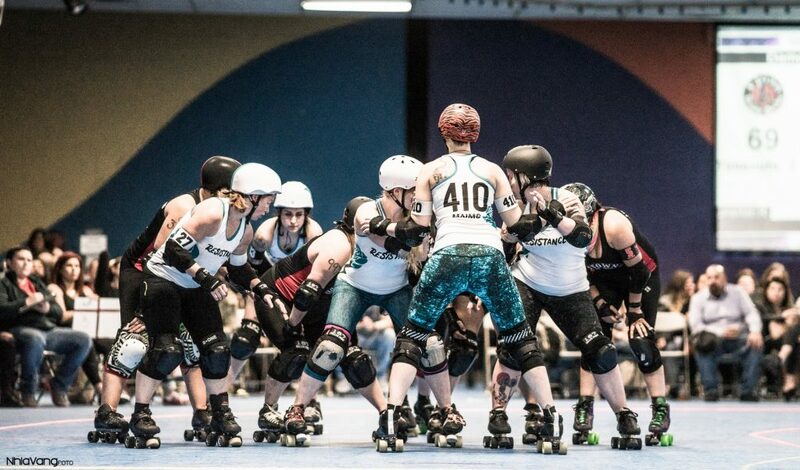 For the safety of our skaters and to help continue to produce competitive and entertaining events for the public, the entire league membership voted to temporarily go back down to three home teams until we can drive our member numbers back up. With the change in the number of teams, the league took this opportunity to reshuffle skaters in order to create new, closely-matched teams. This also made it so the skaters from the one eliminated team would not have to try to integrate into already formed/bonded teams. The Coaching Committee essentially picked names out of a hat and placed skaters on teams 1, 2 and 3, then evaluated each team to make sure they were even, followed by selecting team names from the hat. The decision on which team names to keep was not an easy one to make. There was no question about maintaining the Oakland and San Francisco team names — they were the first teams of the league, both have a rich fan base, and are the cities where most of our league members and fans live, in addition to Oakland being the location for our headquarters. 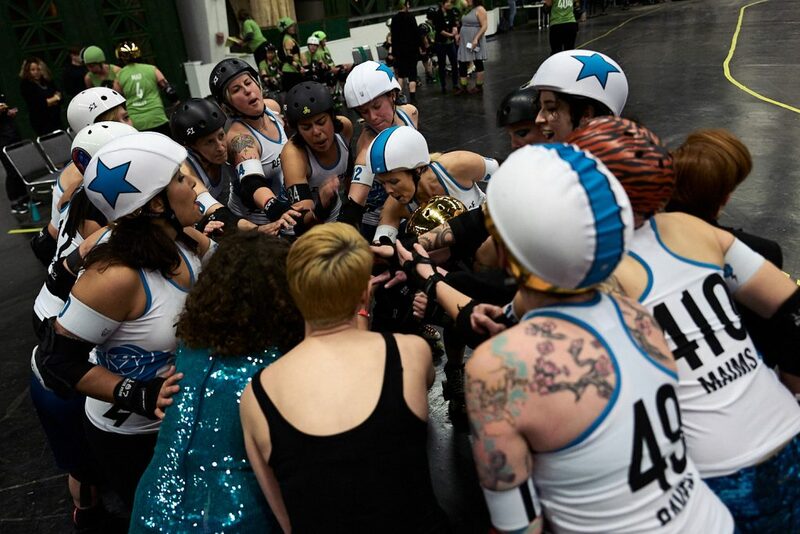 While the Richmond Wrecking Belles were the third established team in the league and held the “Most Winningest Team” title, after careful consideration and deep deliberation, it was decided to keep the Berkeley team name. 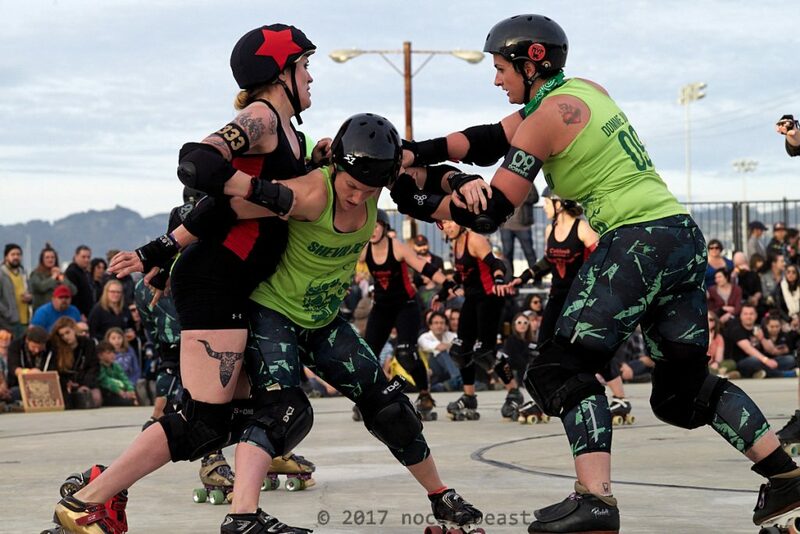 Berkeley won the last two BAD Championship bouts, we recruit several skaters from Cal and it’s in closer proximity to our headquarters. 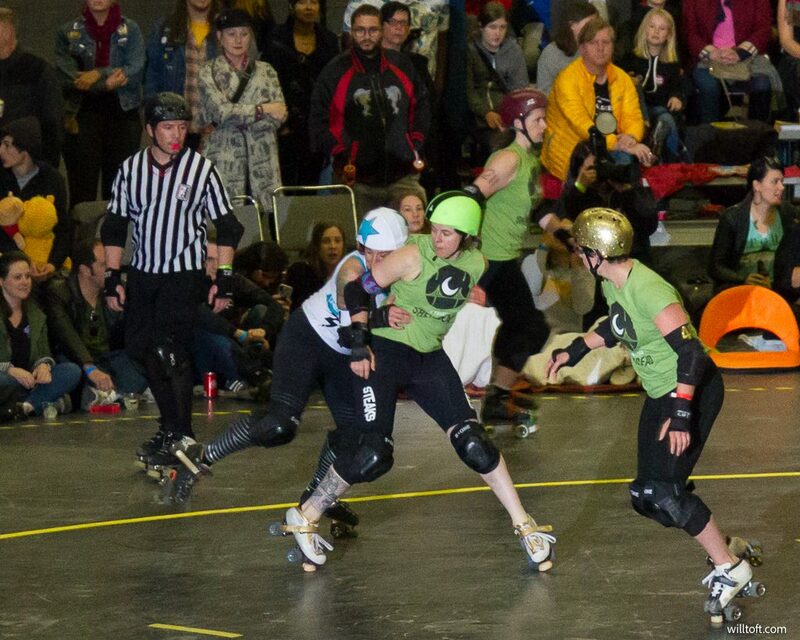 BAD is so thankful to the City of Richmond and its incredible fans who came out to our games at The Craneway Pavilion. And we are especially appreciative of our Super Fans who traveled from Los Angeles to support the Belles. While this situation was not ideal, we want to emphasize that we are working hard to make this a short-term solution. The Belles will be back! And it’s already looking encouraging — we just picked up over 20 new skaters during our last tryout session. 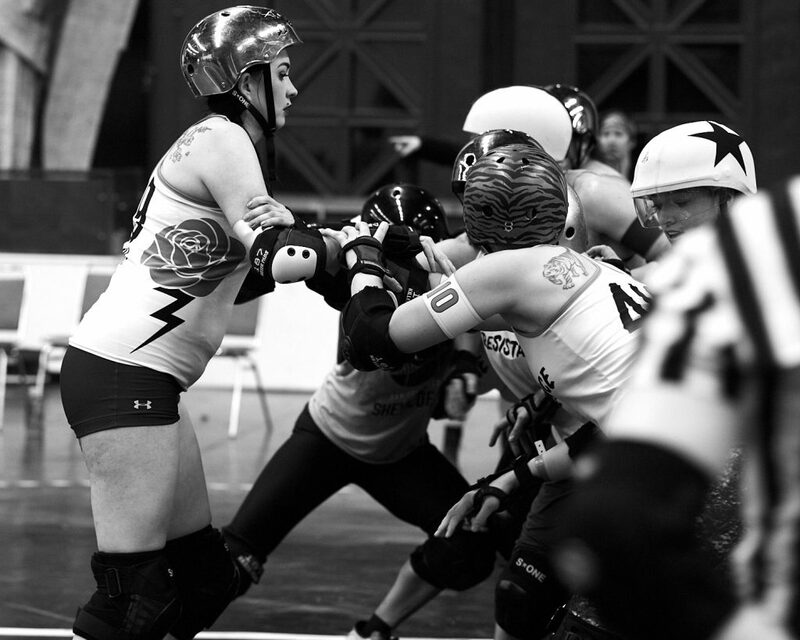 Continue telling your friends about roller derby and encourage them to come check out BAD! If you have any questions regarding the reshuffle, please do not hesitate to reach out to Eva Menace at pr@bayareaderby.com.